I just got an iPod Touch, it’s quite possibly the best iPod ever. It’s like a pda and a mp3 player. I remember back in the day loving my Palm Pilot to death and then they came out with a add on that would allow you to play music but psshhhh that’s nothing compared to this. I got the 32GB model which is 2GB more than my old 30GB model. This purchase came about by the way because I thought I lost my 30GB iPod but alas I ended up finding it. But not before falling in love with my Touch. I’ve got apps, I’ve got email, I’ve got aim, I’ve got iTunes…everything basically but a phone and texting which is what the iPhone is for. I wish I could get the iPhone but I’m with Tmobile and that phone is with Cingular AT&T. I could switch but frankly I think the service is a rip off compared to my sidekick. Lucky! 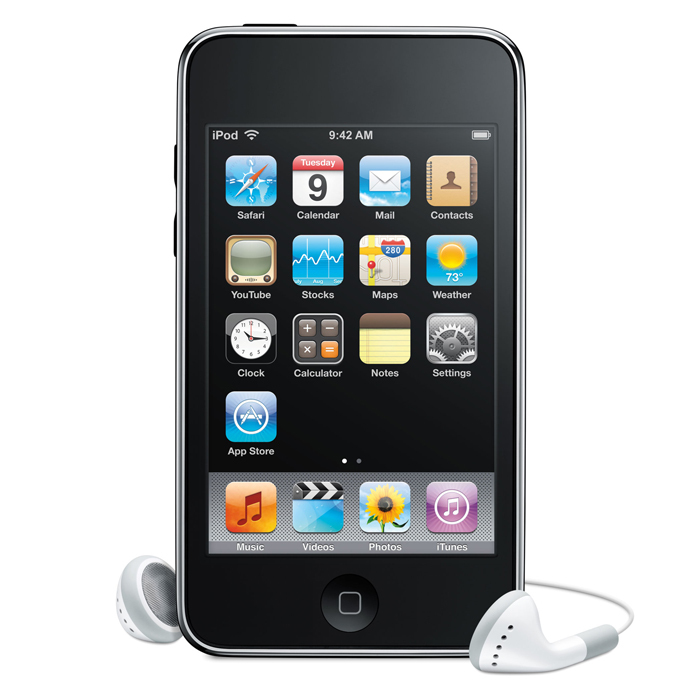 ipod touch sounds awesome. Oh and I’ve heard the apps are great. Congratulations! :) I’ve *touched* several iPod touches owned by my friends. I’m not such a techie geek myself, so I don’t usually care for such things. My tech motto is, “If it works, it works.” And, to be honest, I’m quite attached to my PDA phone, heh. That sounds sweet! I’ve only got a sony w910i walkman cell.